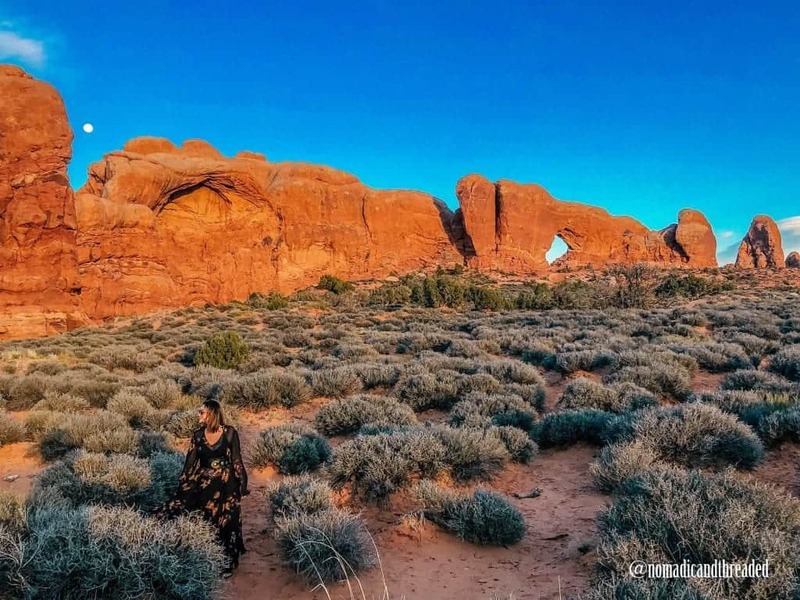 Get ready to pack your bags or at least get a serious case of wanderlust because when we asked travel bloggers to share the best National Parks in the World, they delivered! If you’ve been reading TREKKN for a while now, then you probably know we’re pretty obsessed with National Parks; specifically, United States and Canadian National Parks because that’s where we’ve traveled to. 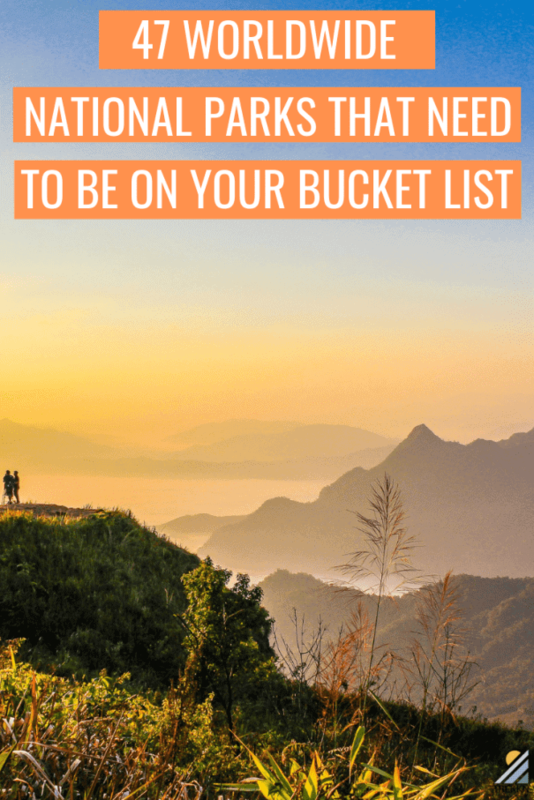 But we’re also enamored with the fact that there are some incredible worldwide National Parks this earth has to offer and we want to share them with you. But since we can’t get to them all, we asked travel bloggers from around the globe to share their favorite National Park in the world. Get ready to see beauty from Australia and Japan to the Caribbean Islands and Iceland. Denali National Park is the land of extremes. The weather is extreme, the views are extreme, the wildlife is extreme. Visitors opinions of the park are extreme. Even the elevation is extreme. 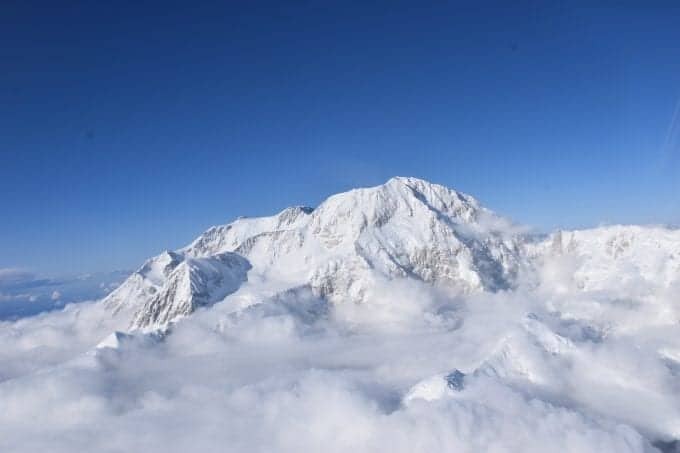 It ranges from 240 ft at the Yentna River to the summit of Denali (the mountain) at 20,310 ft. The Alaskan moose are some of the largest in the world. It’s an extreme place. The extremes are the reason I love Denali. Every day in Denali is an adventure. The day can start out dark and stormy and the sun will come out and with it – the MOUNTAIN. Denali is massive. When she is out, she fills the sky. There is nothing like seeing Denali out in all her glory. Almost all visitation to the park takes place via bus tour. Most people spend 6-8 hours riding a school bus down the road. This is one of the main visitor complaints from the park. This limited the traffic issues found in other US National Parks. During the last days of the summer season, the Denali Park Road opens for 1,600 lottery winners. These 1,600 people are given 18 hours to explore the 92-mile park road at their leisure in their own vehicle. The Iguazu waterfalls are the most spectacular falls in the world, and they are protected by two different national parks. 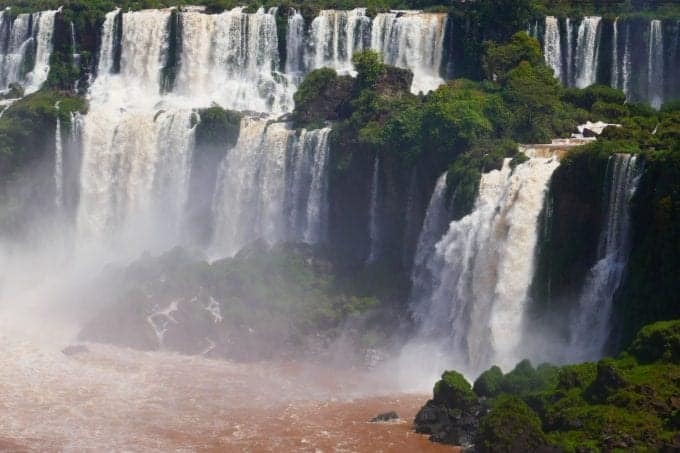 Since the falls lie directly on the Argentina-Brazil border, on one side they sit within the Iguazú National Park of Argentina, and on the other side they fall within the Iguaçu National Park of Brazil. The two sides are quite different, and it’s definitely worth visiting Iguazu falls from both sides if you can. Most of the falls are on the Argentine side. This means that, in the Argentine park, you can get up close and personal with the falls and really feel the power of nature as the water thunders all around you. In the Brazilian park, on the other hand, you can enjoy spectacular vistas as you admire the falls from across the river. The sweeping panoramic views from the Brazilian side were the highlight of Iguazu falls for me, but many people prefer the thunderous power of the Garganta del Diablo viewpoint in Argentina. Ask people to picture Outback Australia and most will describe a red, dusty landscape. And there is plenty of that across the country! But if you explore a little further and take a closer look, you will find lush and striking National Parks, like Kakadu. Located 2 hours east of Darwin in the Top End of Australia, Kakadu National Park is a UNESCO world heritage site, peppered with ancient indigenous rock art and stunning landscapes. To really appreciate the beauty of the Park you need to immerse yourself there for a couple of days. 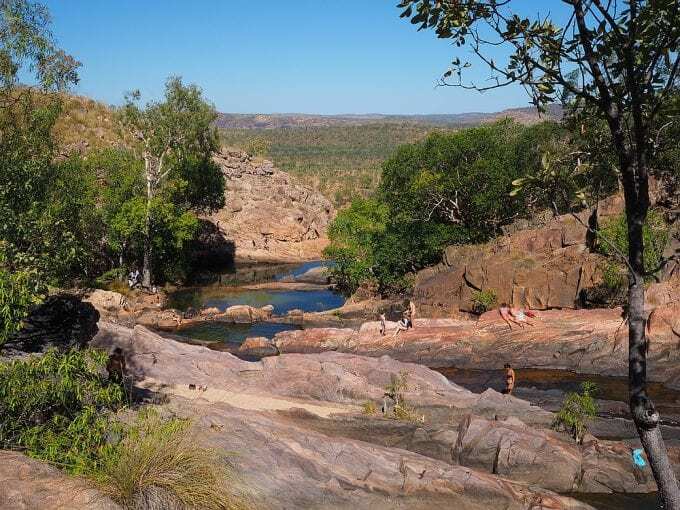 Hike through deep gorges to discover hidden waterfalls, swim at pretty waterholes and camp under inky black starry skies. Spend time learning bush crafts from the local women and cruising the river to spot crocodiles and birdlife. Join the Park Rangers to learn more about the ancient rock art and owners of the land. Take the long and dusty roads to admire Gunlom, Maguk and Jim Jim Falls. A visit to Kakadu is a memorable and rewarding experience for outdoor lovers. 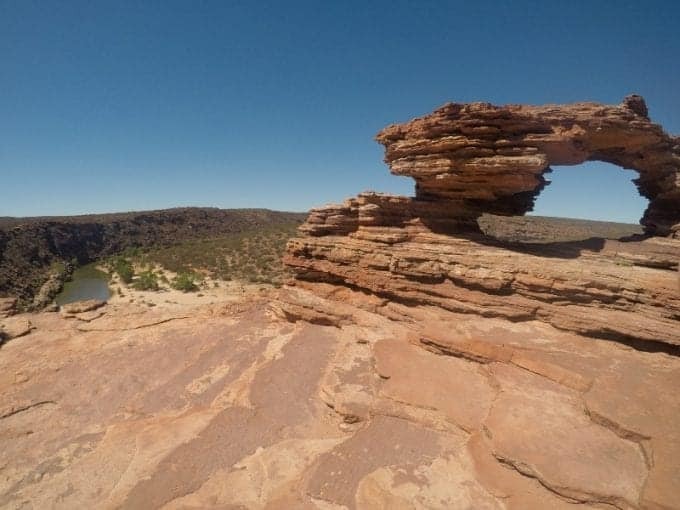 Kalbarri National Park is a gem in the Western Australia crown. The park surrounds the Murchison River which has carved an eighty-kilometre in land gorge through the red and white sandstone. A visit here guarantees you’ll enjoy some of the most spectacular views in the whole of Western Australia. One of the (many) reasons we love Kalbarri National Park is that its beauty is accessible to all. There is a wide range of trails to explore at varying difficulty – everything from spectacular coastal lookouts with disabled access to 8km river gorge hikes! With plenty of picnic areas and scenic spots, it’s a great place for all the family to enjoy the great outdoors. The canoe safari experience and SUP tours are a fun way to explore the park for those wanting an extra zing of adventure. Kalbarri National Park is a great place to experience year-round however visits from July through to October enjoy extra floral beauty as the array of native wildflowers spring into bloom. 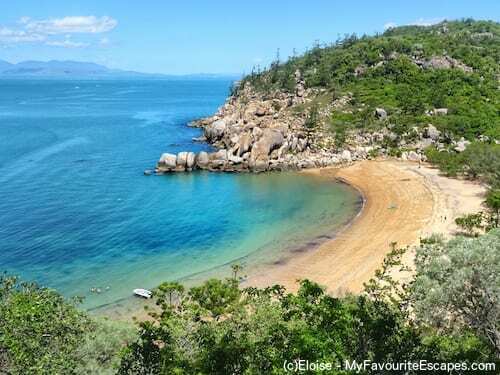 Located less than 10km away from Townsville on the East Coast of Australia, Magnetic Island is one of my favourite national parks for a few reasons. The mountainous island is protected and has a lot of different experiences to offer to nature lovers. Plus, the climate is pleasant all year round. The most popular hike will take you to historical WWII ruins where you can admire fantastic views and spot wild koalas. If walking isn’t your thing, koalas can also be seen while horse riding, just before swimming with your horse on the beautiful beach of Horseshoe Bay. It’s one of the many secluded bays to relax and freshen up. Snorkelling on Magnetic Island is very reputed, and if it’s not enough, it’s easy to catch a day trip to the outer Great Barrier Reef. The beautiful shades of blues contrasting with the white sand and the granite boulders make your beach time special even if you don’t put your head in the water. At the end of the day, you may want to watch the sunset from one of the sailing boats going around the island or choose to spend it with wallabies hopping on the rocks. And you can do all that in just one day. But I bet you’ll want to stay longer. 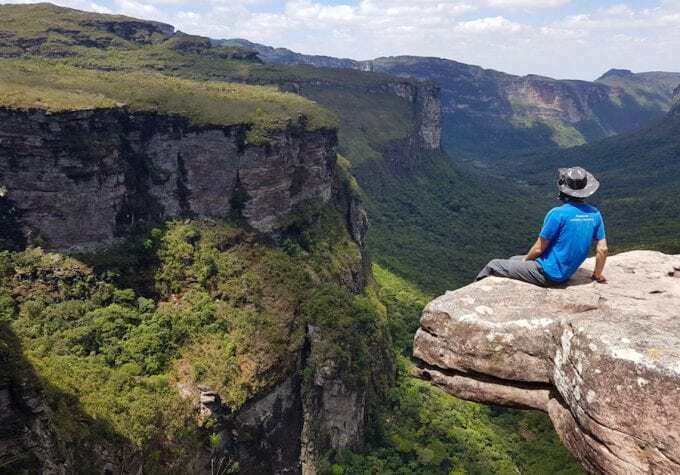 Located in the heart of the Brazilian state of Bahia, the Chapada Diamantina National Park is the perfect destination for the outdoor lover. The park lies in a large plateau bounded by terrific cliffs and peaks. You’ll find canyons, waterfalls, rivers, caves, cliffs, and much more. I love Chapada because it offers amazing hiking trails, including the Vale do Pati Trek which is considered as the best hike in Brazil. This trail, which can be completed in 3-5 days, will take you along table-shaped mountains, colorful savannas, and endless valleys. There are other top-rated trails such as the Cachoeira da Fumaça Trek, the Cachoeira do Sossego Trail and the Pai Inacio Trek. Most trails start from the towns of Lençois and Capão. To get there, you’ll need to take a bus from Salvador. The trip lasts seven hours, but there is a night bus that is pretty comfortable. Jasper National Park is one of my favorite parks in the world. 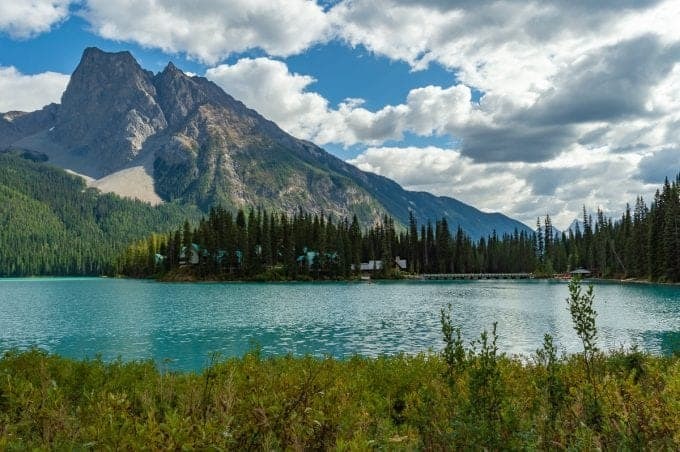 Located in the province of Alberta in western Canada, it’s the largest National Park in Canada’s Rocky Mountains covering a staggering 11,000 square km’s. Did I mention that it belongs to UNESCO’s Canadian Rocky Mountain Parks World Heritage Site? There are so many national parks in the world but here’s why Jasper National Park is one of my favorites. Its outdoor adventures. Jasper is a virtual play ground for outdoor junkies! Filled with mountains, glaciers, rivers and hiking trails there are many options for spending time outdoors. Its wildlife. When visiting Jasper National Park, you’re almost guaranteed to spot wildlife in their natural habitat. On my last visit to Jasper I witnessed a small heard of elk swim across the Athabasca River, all from the side of the road! On other occasions I’ve come across woodland caribou, marmots, mountain sheep and even a black bear. The smaller crowds. Jasper National Park is over looked at times in favor of its more famous neighbor to the south, Banff National Park. Because of this, I find Jasper isn’t quite as busy or over run with tourism, especially if you stray away from the more popular sites. If you’re planning a visit to western Canada, make sure you include Jasper National Park on your itinerary! While everyone in Canada is flocking to Banff National Park, the real gem of Alberta is being overlooked, and I’m totally ok with that. I’m always almost hesitant to tell people about Waterton Lakes National Park because one of the reasons I love it so much is that there are no busloads of tourists there! But I’ll let you in on my little secret and tell you that this place is worth a visit. Waterton is Glacier National Park’s northern sister. They actually share the longest unprotected border between countries in the world, making it an International Peace Park. 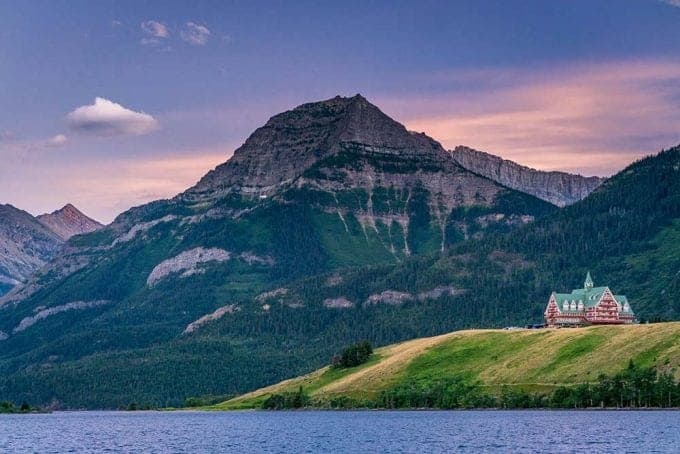 Waterton Lakes National Park provides great hiking, kayaking, swimming, canoeing, rock climbing, waterfalls viewing, and just incredible scenery and wildlife, including bears and buffalo! The little town inside the park is so charming. You can find a hot dog shop, a waffle shop, a candy shop, and multiple ice cream parlors. It’s like stepping into the 1950s version of a National Park and I love it! Yoho National Park is one of British Columbia’s most memorable parks to visit for a variety of reasons. There are many ways to experience the towering mountains, flowering meadows and pristine blue lakes if this beautiful section of Canada. 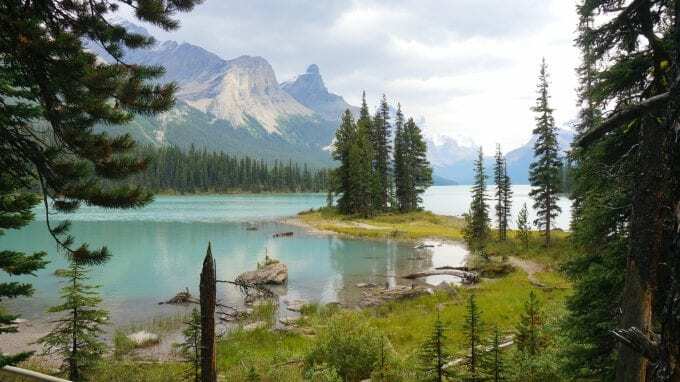 There are many hiking trails that weave around lakes and mountains with Yoho. Lake O’Hara is one of the most picturesque places to visit, and with such limited spots each year, it’s one of the most sought after experiences in the national park. Emerald Lake is another option for beautiful scenery in Yoho. With a flat walk around the Lake, it’s easy to get beautiful views. For a truly unique perspective, you can hire a canoe in the summer, or cross country ski across the frozen water in the winter. Following the Kicking Horse River downstream you will run into many waterfalls. The most notable being Wapta Falls. Over 100 meters wide, there’s on average 250 cubic meters of water gushing over the rocky face every second! Yoho National Park has something for every traveller and member of the family to appreciate the natural beauty of Canada. Morne Trois Pitons National Park is a UNESCO World Heritage Site in the Caribbean Island of Dominica. It comprises of tropical forest surrounding its centrepiece, the Morne Trois Pitons volcano that climbs to 1,342 metres in height. 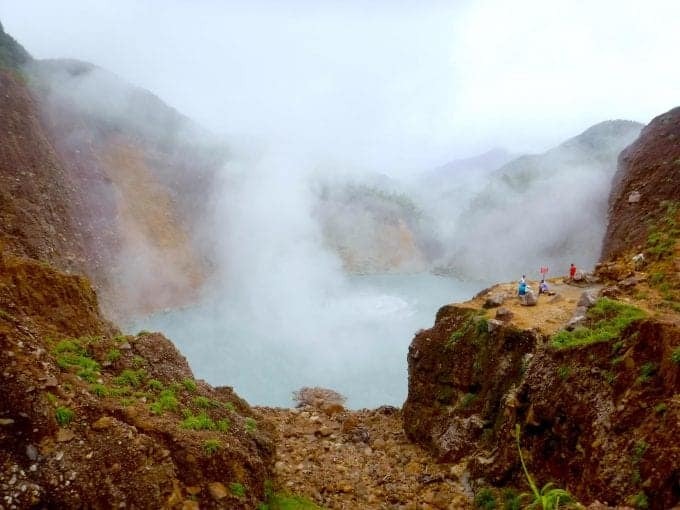 The 7,000-hectare national park is unlike any other with three freshwater lakes, a boiling lake, a valley filled with steaming fumaroles, hot springs, five volcanoes and some of the richest biodiversity in the Caribbean. In an island nicknamed the “Nature Isle”, for a national park to stand out it has to be something special! Exploring the national park is one of the best things to do in Dominica and there are countless hiking trails and natural wonders throughout the park to enjoy. The highlight of Morne Trois Pitons National Park for us was hiking to Boiling Lake. Our guide led us into dense jungle, through the otherworldly Valley of Desolation until we eventually reached the huge steaming, bubbling lake at the summit. As we descended we were treated to a dip in a hot spring before ending the 6 hour hike with a refreshing swim into Titou Gorge. While in Dominica we also hiked to Emerald Pool and Middleham Falls, both within the park. Torres del Paine National park in Patagonia, Chile is one of the most spectacular places we’ve ever hiked. It’s located in the south end of South American continent, Puerto Natales is the closest to the park town, most travelers stay there before and after visiting the park. Torres del Paine is a famous place for hiking, there are several self-guided days and multi-day routes that take hikers across the park and offer some incredible scenery. The most famous routes are O-trek – requires 7-9 days to complete and W-trek – 4-5-day hike. It’s possible to explore the park by doing day hikes and staying at one of the hotels or campsites outside or inside Torres del Paine. Every single corner of the park is beautiful but there are several highlights that can’t be missed; Las Torres, Grey glacier and Grey lake, Pehoe Lake, Nordenskjold lake. Hiking in Torres del Paine is a real pleasure; the routes are well-marked, there are campsites with good facilities (in most of them hikers can rent camping gear), it’s well-maintained and safe. Among other activities in the park are horseback riding, ice hiking and boat cruising. My favourite national park in the world must be the incredibly unique and beautiful Zhangjiajie National Forest Park in Hunan Province, China. The park forms part of the Wulingyuan Scenic Area, a UNESCO-protected global geopark. Admittedly being located in China means that the park is far from untouched. It has an elevator, a glass bridge and of course, crowds. However, none of this can take away from the breathtaking beauty of the quartz-sandstone pillars. So magical and mystical are these colossal pillars that they inspired the floating Hallelujah Mountains in the movie, Avatar. They may look like the limestone karsts you often see around SE Asia but in fact, these amazing rock formations are caused by natural erosion. Some you can even climb if you’re feeling brave. As Zhangjiajie Park is almost 12,000 acres in size, it is surprisingly easy to escape the crowds by getting off the main paths and hiking upwards! There are scenic walks for all different abilities and incredible views over the majestic pinnacles. As long as you have hiking boots and a camera you’ll love Zhangjiajie National Park. Just watch out for the thieving monkeys! 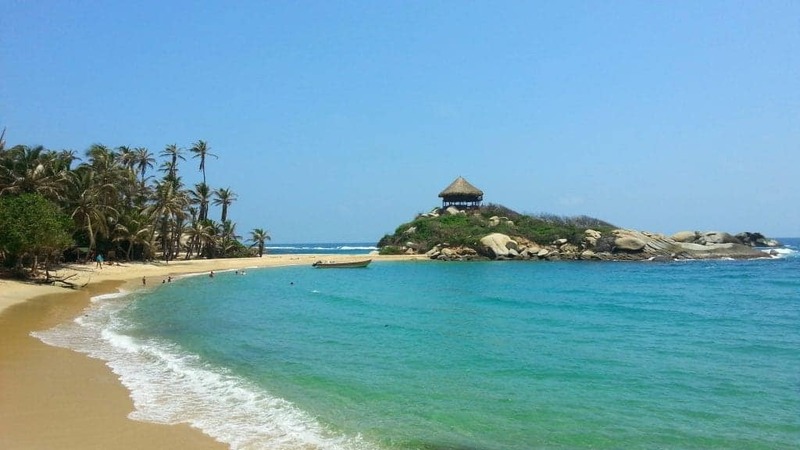 Tayrona National Park on the Colombian Caribbean coast is without a doubt my favourite national park. Most people go to Parque Tayrona for the beaches, which are gorgeous, but the whole experience was magical for me. The hike to the camps and beaches isn’t difficult, but the heat and humidity made it a challenge! It is definitely worth the effort though, and the first glimpse I had of the ocean took my breath away. We reached camp, chose a hammock for the night and went to explore. You don’t have to go far to find culture in Tayrona, the indigenous people from the region still live in the National Park, and you can hike to El Pueblito, the settlement where there are houses deep in the jungle. Nature is all around Tayrona National Park too, and if you’re lucky you might catch a glimpse of the endangered cotton-top tamarins who live in the park, as well as howler monkeys, bats, birds, butterflies and more. If you don’t feel like exploring then spending the night in a hammock, listening to the waves as you fall asleep and waking up to an incredible sunrise is not a bad way to spend your time here! This is Colombia at its very best. As misleading as the name sounds, the Bohemian Switzerland National Park is not located in Switzerland, but in the North of the Czech Republic. Forming a part of Northern Bohemia, this National Park is one of the most beautiful ones in the Czech Republic. It used to be a seabed some millions years ago, and what’s left from that period are stunning karst formations. They form high walls and cliffs, river creaks and diverse shapes. The most well-known is the Pravčická Gate, or Pravčická brána in Czech. 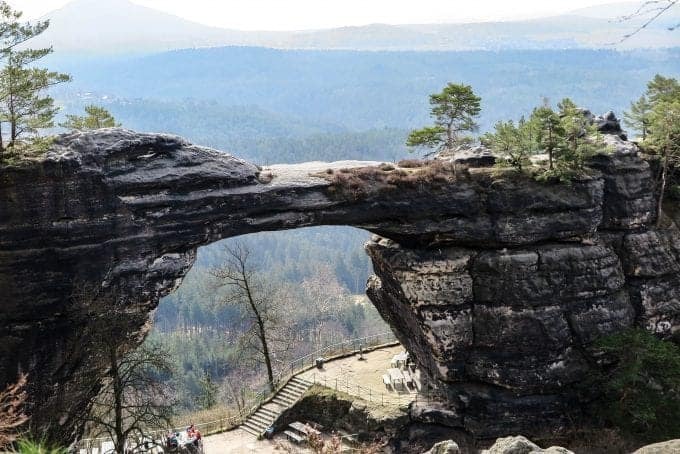 Pravčická brána is a natural sandstone arch, the largest of its kind in Europe. It became famous also for its short appearance in the Chronicles of Narnia. The whole area is criss-crossed by well-kept hiking trails and can be enjoyed over several days. You can get to Bohemian Switzerland by train or by car from Prague – it’s just 2 hours away. The closest city is called Děčín. Dartmoor National Park is a stunning destination in South West England. 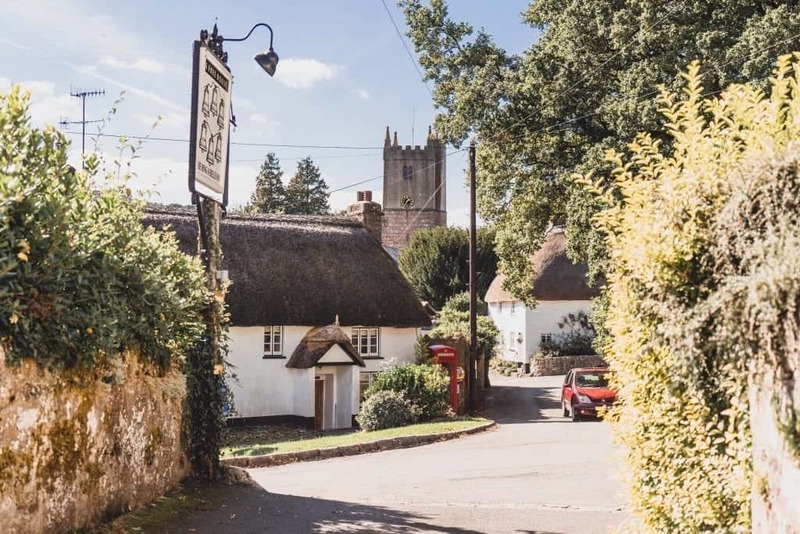 Situated in the very heart of Devon, a county best-known for its rolling hills and rugged coastline, Dartmoor is characterised by its wide open moorlands, stretching as far as the eye can see. The Park is easily one of my favourites thanks to its wealth of history (you’d be hard-pressed to find a greater concentration of Neolithic sites anywhere in Europe) and breadth of activities on offer. From hiking between tors (granite outcrops that are a byproduct of the last Ice Age) to cycling to watersports, Dartmoor truly has it all! The Calanques National Park is a coastal park located in the South of France, not far from the city of Marseille. The National Park includes a terrestrial part, made of limestone cliffs and pudding, creeks and islets and its corresponding marine part. This is our favorite park in France because it’s a great combination of sea and mountains. The Calanques National Park is well known for its wild beauty and secluded beaches with turquoise waters. 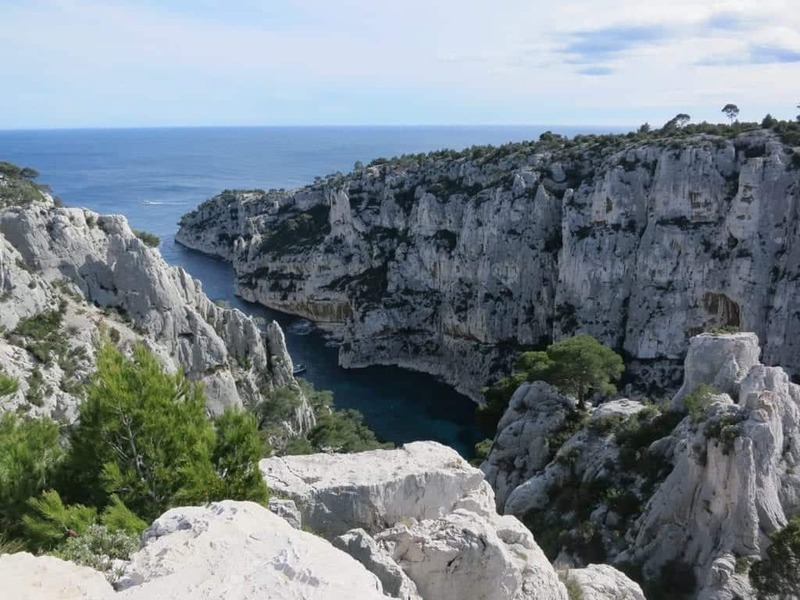 Day hikes along the Calanques starting from Marseille or from Cassis, a pretty coastal town, are very popular amongst visitors, especially on Sundays. In addition, people also go to the Calanques for swimming, diving or climbing. The Calanques are a great idea for a weekend trip from Paris by train. Indeed, Marseille can be reached by train from Paris in only 3 hours and from there one just need to take a local bus to the starting point of the hikes. In a country that is a literal Pandora’s Box of natural beauty, one of Iceland’s standouts is Thingvellir National Park, located along the Golden Circle route in southern Iceland. This national park is home to turquoise waterfalls and cobalt lakes, towering black cliff sides, rugged hiking trails and walking paths, pristine camping, and early Icelandic history. There are two designated campsites at Thingvellir National Park. Neither require reservations, and camping permits can be obtained at the Information Centre upon arrival. Most of these sites offer stunning, unobscured views of Thingvellir’s unique landscape. There are plenty of hiking and walking paths in the park, but my favorite section of trail in Thingvellir leads to the Oxararfoss waterfall. This waterfall cascades over the craggy, bordering cliffs of Thingvellir, and appears almost streaked with green hues. 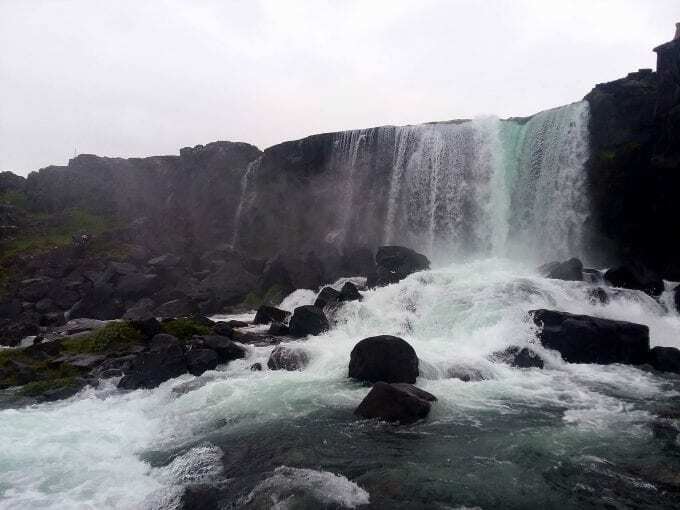 The path adjacent to Oxararfoss continues along black lava walls to several other landmarks, including scenic overlooks, the Thingvellir historic church, and peaceful, slow-moving streams and ponds that are the aftermath of the thunderous Oxararfoss waterfall above. Other highlights of Thingvellir include snorkeling and scuba diving, wildlife sightings, trout fishing, and visiting historic “Law Rock”. Check out some other top things to see in southern Iceland, including more waterfalls, beaches, and glaciers! Located a few islands east of Bali, the Lesser Sunda islands contain one of the best National Parks in the world. Komodo National Park may be famous for protecting its famous residents – the Komodo Dragons, big lizards that have roamed these islands for centuries. The National Park includes three arid islands where the Komodos live, along with the waters surrounding these islands. It is a popular destination, especially for scuba divers. The water here is spectacular for both micro creatures, as well as big animals. At Batu Bolong dive site, you can find big manta rays lining up for a cleaning – a magnificent sight to see. The Dive Komodo Liveaboard is highly recommended to see some of the remote dive sites in Komodo National Park. 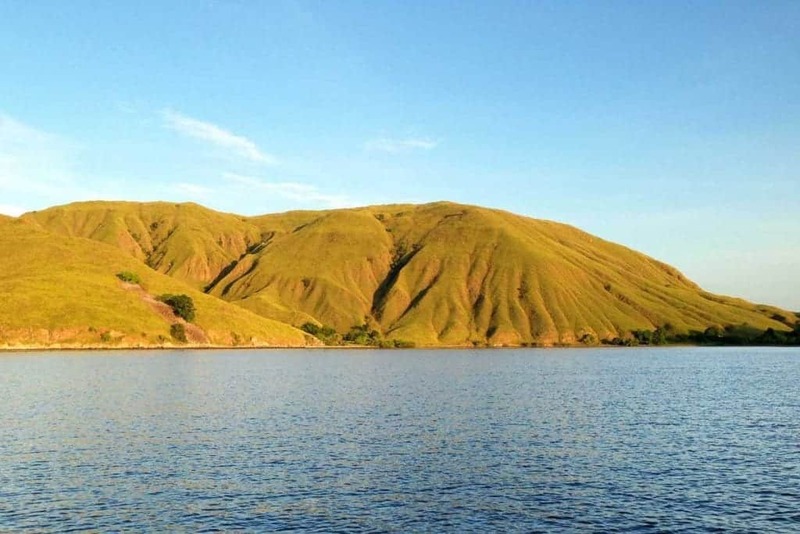 To get to Komodo National Park, make your way to Labuan Bajo, a sleepy port town located on Flores Island. From here, you can find many dive shops, as well as other operators, that offer a trip to the Komodo National Park, both above and under water. Killarney National Park, in the southern county of Kerry, Ireland, is one of the best national parks around the world. It was the first national park created in Ireland and it has expanded since it’s creation in 1932 to cover over 102km2. This UNESCO Biosphere Reserve is a special area of conservation and is home to a variety of fauna and flora, notably the only red deer herd on mainland Ireland. The park is open year-round and main attractions include Muckross House, Ladies View, Ross Castle, and the Torc Waterfall, to name but a few. One of the other main tourist attractions of this area of Ireland, the Ring of Kerry, travels through the park. 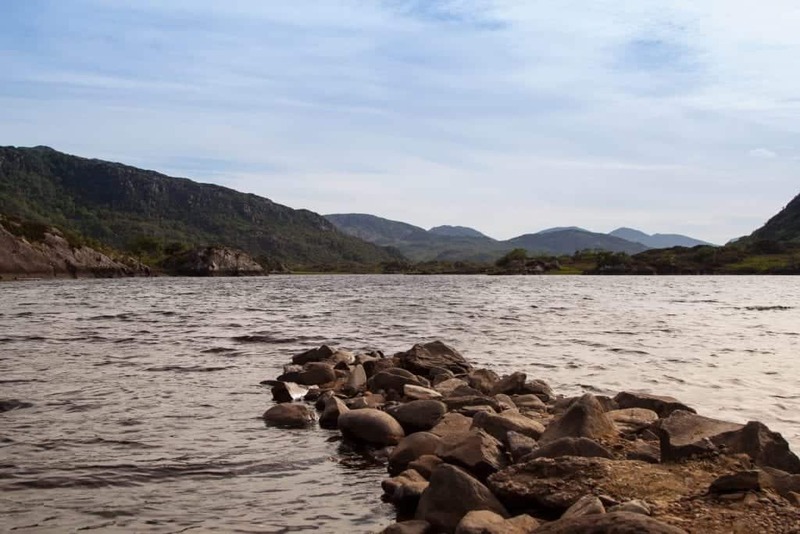 There are three lakes within Killarney National Park, all interlinked, and can be enjoyed both from the shores and on the water with permits, and sports angling is a past-time enjoyed at the Killarney lakes. There are numerous hiking trails to enjoy within the park, and canoe and kayaking can be enjoyed on the lakes with a permit. Along with the natural beauty and history to be found in the park, Killarney National Park is one of the best national parks in the world. Wicklow mountains national park is my favourite national park in my home country of Ireland. Located about one hour from Dublin, by bus, it is also a favourite with many visitors to Ireland. 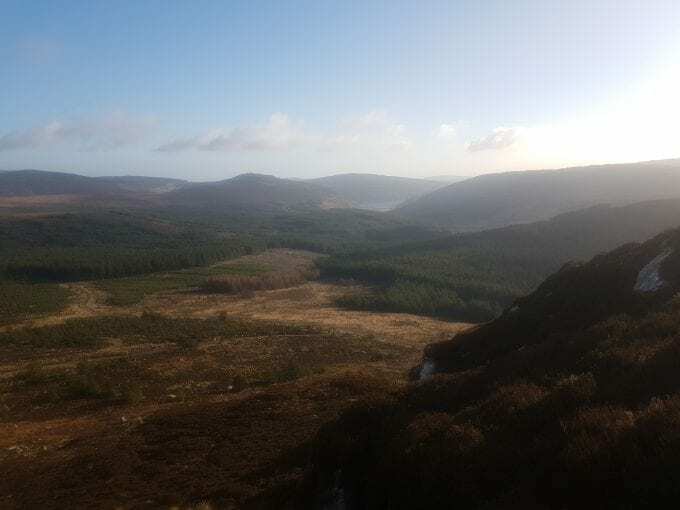 Home to Glendalough, The Sally Gap walk and a whole host of ancient stone ruins and beautiful hiking and hill walking trails, it is one of the best ways to see some of Irelands rustic beauty. For those who are only on a short visit, it is quite easy to organise a trip into the national park. Expect to find, wide open plains, windswept mountains and the rugged beauty visitors expect from Ireland. For me personally, I enjoy being able to wander along the hills and valleys, the walks are quite easy for the most part and going cross county is always an option. You will find groups of walkers and cyclist year-round no matter the weather, but you may also spend the day alone discovering new areas as you explore. For those who want to see some of Ireland ancient sites, then Glendalough is the perfect place to spend the day. The Cinque Terre is a string of 5 beautiful towns along the coast of Liguria, south of the Italian Riviera. 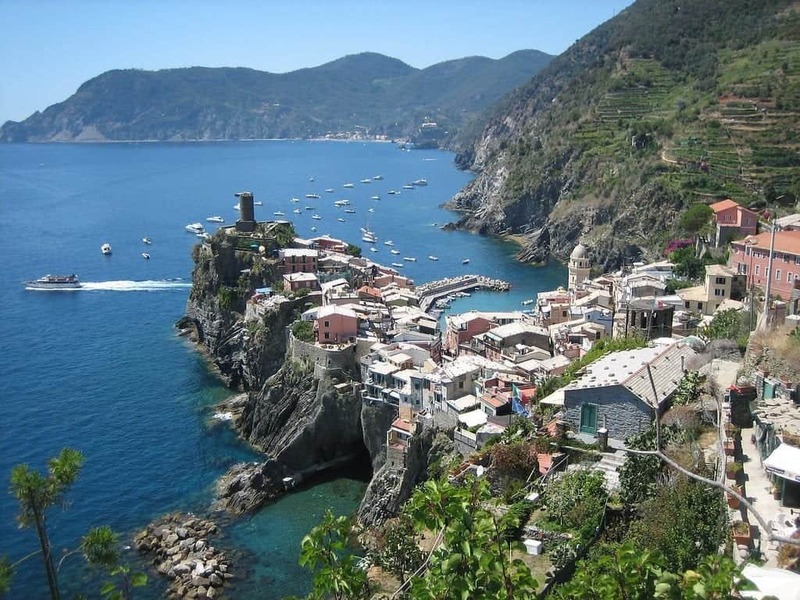 From south to north the towns are Riomaggiore, Manarola, Corniglia , Vernazza and Monterosso al Mare. The area is an Italian National Park with hiking in between these towns, although they are also connected by train. I listed the towns from south to north because the hiking gets more difficult or longer as you head north. The easier trails are more crowded. The trail from Riomaggiore to Manarola is 2.7 kilometers and so easy your grandmother can do it. But the trail to Corniglia climbs hundreds of steps from the train station at the bottom of the hill to the town at the top. From each town and all along the way the view is stunning. Bring plenty of water in Summer and avoid the area on weekends if you can when a lot of day trippers will come down from Genoa. Monterosso al Mare has the only large beach along the route. For my money, Vernaza is the prettiest town and one one of the prettiest of the towns in Italy. train combo to get there and back is a little expensive (aroundUS$30 per person!). There are several cafes and restaurants in the park, and also a few hotels to stay in if you choose to spend more than a day in the park. 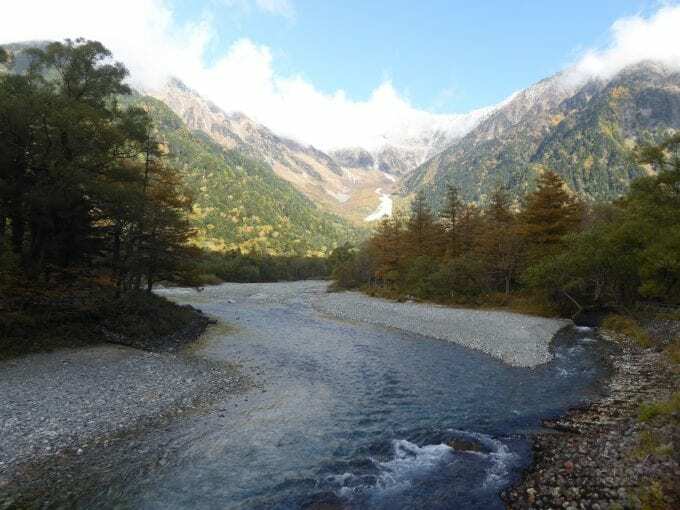 It’s a fabulous and easy introduction to the Japanese Alps and a great day (or longer) out into the Japanese outdoors. The Wadi Rum National Park lies about 4 hours south of Amman in the southern part of Jordan. The area is a wild, scenic desert of soaring mountains and vast expanses of reddish sand. The area is so dramatic, in fact, it is where the movie Mars was filmed. One of the more otherworldly aspects of this dessert is the absolute absence of sound…total silence. It’s like being in a vacuum where no sound penetrates. Another unexpected dessert feature is the brightness of the stars. You feel like you can touch them, that’s how close they seem. Two types of sleeping accommodations are offered at Wadi Rum; little white pods, shaped like bubbles with see-through ceilings for star gazing at night, and tents. But not just any tents, these are equipped with comfortable baths, air-conditioning, and heat. You won’t think you’re in a tent in the dessert. Although dessert animals are elusive, they are there; the stately ibex, wolves, various types of rabbits and hares. At night in the distance, the soulful howls of dessert wolves can be heard. 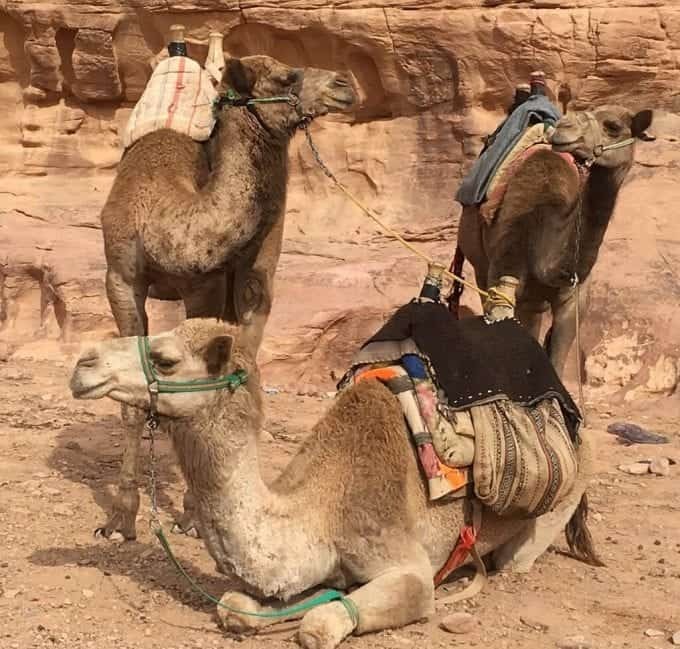 The best part of visiting the national park is meeting the Bedouins there, a friendly and gracious people that will make your stay there memorable. 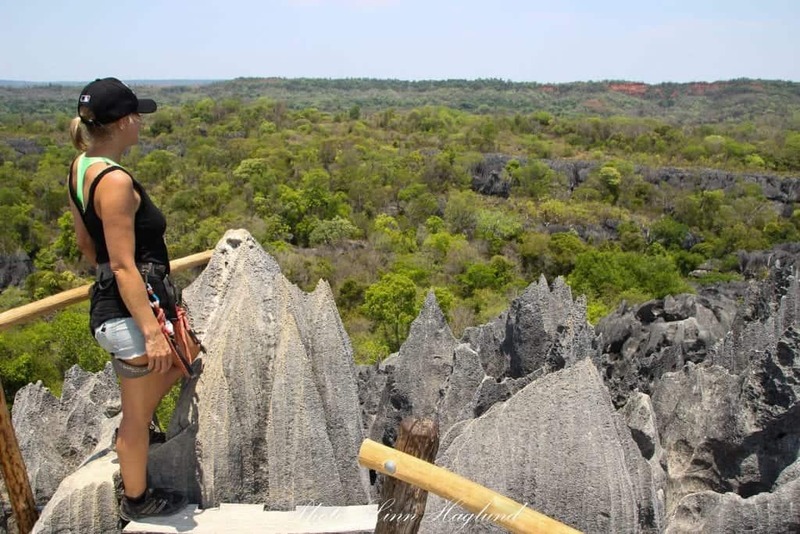 Tsingy de Bemaraha National Park is a UNESCO world heritage site and consists of two large geographical formations of limestone needles; the Little Tsingy and the Great Tsingy. The national park is at the west coast of Madagascar. The small Tsingy is an impressive walk along the top of the “limestone forest” with stunning views. The walk is connected with small wooden bridges and rocks attached to the most impossible parts to make it accessible to walk. To get there and back you will be transported in a traditional Malagasy wooden pirogue along the Manambolo river. The Great Tsingy is a totally different experience. The water has created massive caves underneath the massive “limestone forest” which makes it an impressive experience walking beneath the Tsingy. There is an “easy hike” and a tougher hike for the more adventurous. We took the latter trek which included several wooden hanging bridges and steep climbs up the vertical cliff walls. The challenging hike is rewarding not only because of the spectacular views but also because of the fauna and flora. You will most likely spot several species of wild lemurs on the trek even though the National Park is not mainly known for wildlife encounters in Madagascar. The firsts always have a special place in one’s heart. This is also the case with us and Taman Negara National Park in Malaysia. Being the first jungle we have ever visited, its nature and wildlife will always feel more special, more lush, more vivid than anywhere else in the world. The chilled two-hour low-boat ride to the village adjacent to the park only contributed to the feeling of the park’s remoteness and hence uniqueness. Taman Negara is the place where we launched into one of the most memorable adventures during our nine-months backpacking trip through Southeast Asia. 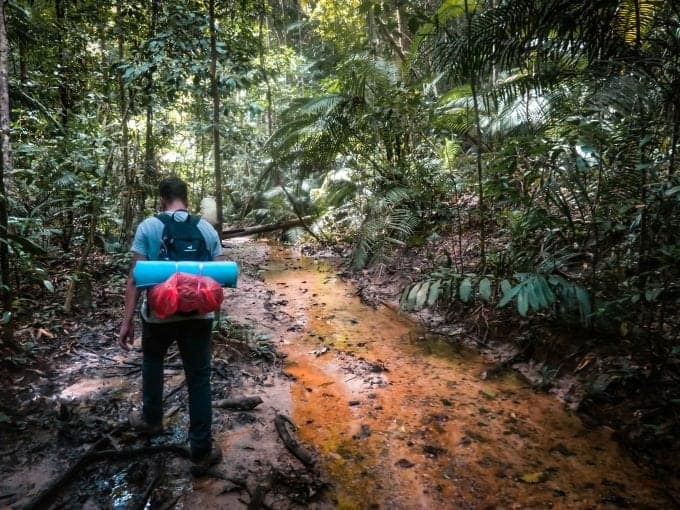 Together with a couple of fellow outdoors-lovers, we went for an overnight trek through the rainforest. It was exhausting, dirty and sweaty but at the same time invigorating and inspiring. We slept in a cave, we bathed in a stream, we enjoyed the nature and bonded with other hikers. When we came out of the jungle we felt in total peace with ourselves. This was a beautiful experience. All of us know that the highest mountain in the world is Everest. Nepalese name for this mountain is Sagarmatha. The national park which protects the area around the mountain is called Sagarmatha National Park. It is full of wonderful, open-hearted people and stunning views to Himalayan mountains. You can choose what you want to do in the park from hiking to Everest basecamp to climbing Island Peak which is one of the most popular trekking peaks in Nepal. 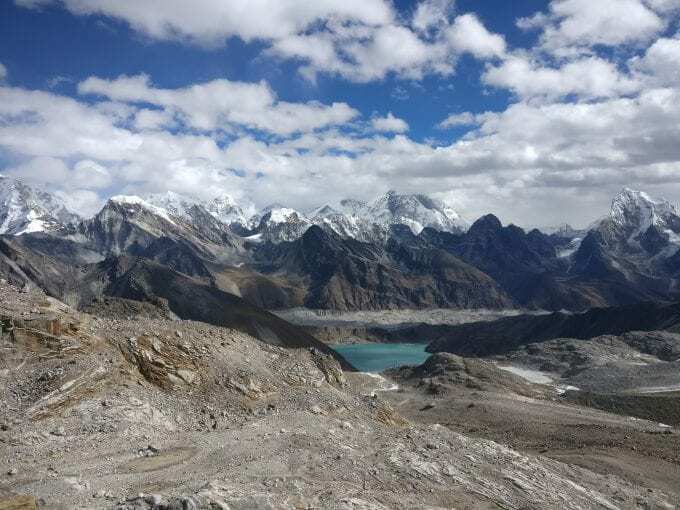 Three Passes and Gokyo lakes hikes are also popular choices among trekkers in Sagarmatha National Park. It is my favorite national park because of the highest mountains in the world. It is the only place in the world where you could see sunset on Everest. It is very easy to hike in the mountains of this national park. You don‘t need to have a tent or food with you. There are teahouses open for tourists up to 5150 meters above sea level. They provide food and beds for trekkers. 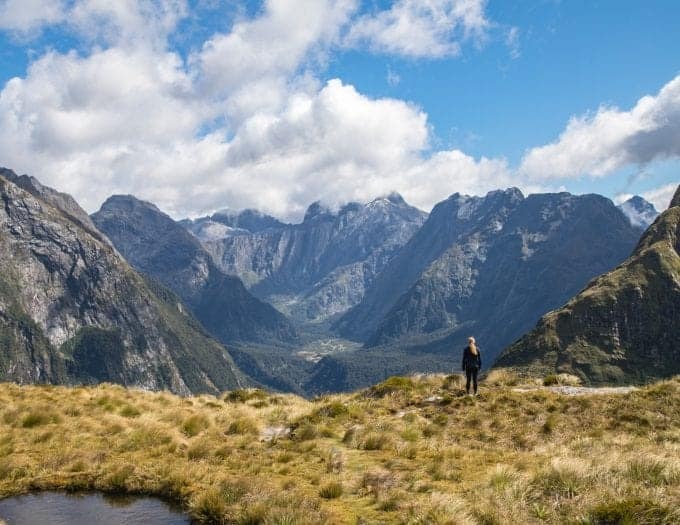 Tucked in the South-West corner of New Zealand’s South Island you’ll find Fiordland National Park – a place synonymous with wilderness and adventure. The vast majority of this huge national park is uninhabited and accessible only by boat or hiking trail – perfect for wilderness lovers. The landscape is characterised by steep mountains, glaciers, fiords, waterfalls and the biggest lakes in the country. 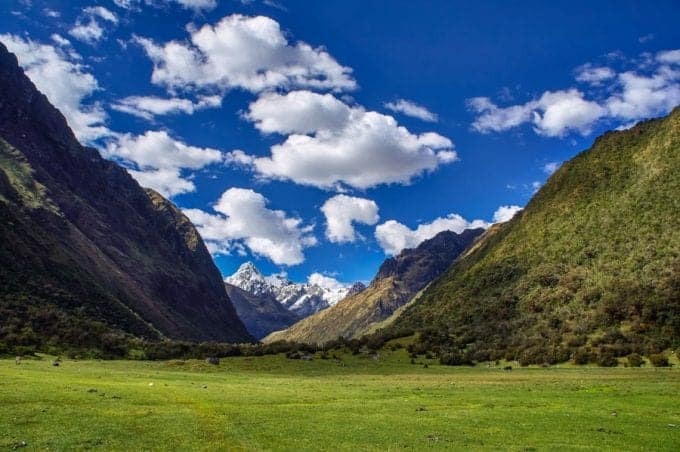 If you’re a hiker you’ll be spoilt for choice with three of New Zealand’s Great Walks passing through the park, including the Milford Track, known as the ‘finest walk in the world’. It’s the wettest place in New Zealand but it might be the only time you’re actually pleased to see rain as it cascades off the steep mountain tops creating hundreds of new waterfalls right before your eyes. There really is nowhere else like it on earth. Non-hikers will be wowed by the most famous attraction in the country – Milford Sound – a place often described as the 8th Wonder of the World. 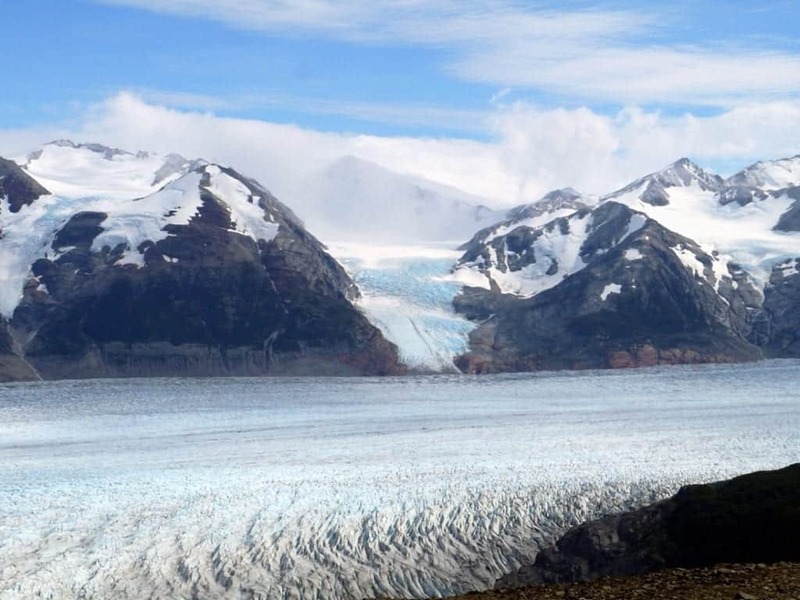 This huge fiord weaves through pristine wilderness, and a boat or kayak trip will treat you to views of jagged mountains, waterfalls and seal colonies. Every time we leave, we know it’s only a matter of time before we return. If you happen to find yourself in Patagonia in deep South America, then you simply have to visit the Los Glaciares National Park. It is a vast open park, almost 3,000 square miles in size. Here, you’ll find plenty of scenic hiking opportunities that can last you for days if needs be. However, hiking is not the main attraction in the Los Glaciares National Park. Instead, hundreds of thousands of people flock here every single year to witness the park’s main attraction, the Perito Moreno Glacier. It is one of the world’s most breathtaking glaciers, and is roughly 100 square miles in size. But don’t worry, you’re not expected to see all of it! Instead, you can easily catch buses from El Calafate to the viewing platform that allows you to see it from the front. Once here, you’ll find hundreds of metres of walkways which allow you to see the glacier form different angles and heights. But perhaps the best part about visiting the glacier is watching all of the ice break off and tumble down into the waters below. As they hit, you are met with a large booming noise and it’s a very impressive site to behold. 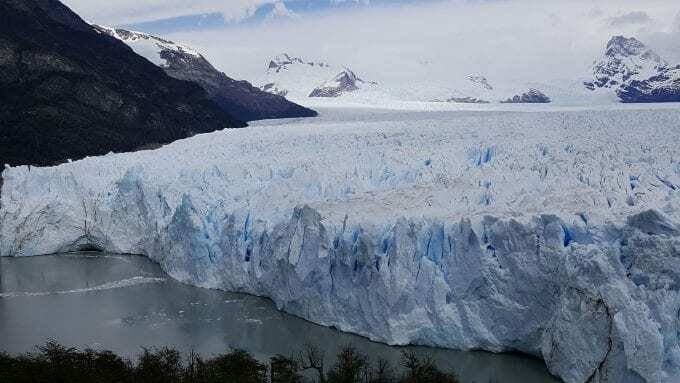 Find out more about the Perito Moreno Glacier here. Located on a stretch of the Central Peruvian Andes, the Huascarán National Park was listed as a UNESCO World Heritage Site in 1985. Its major feature is the Cordillera Blanca, which means the White Mountain Range in Spanish and is the highest tropical mountain range in the world. With its massive snow-capped mountains, deep green valleys and turquoise glacier lagoons, the landscapes within the park are truly stunning. Plus, the Huascarán National Park also features a unique biodiversity and is home to some amazing plant and wildlife species, such as the spectacled bear, the Andean condor and adorable vicunas. The Huascarán National Park is a paradise for nature lovers and outdoorsy travellers. 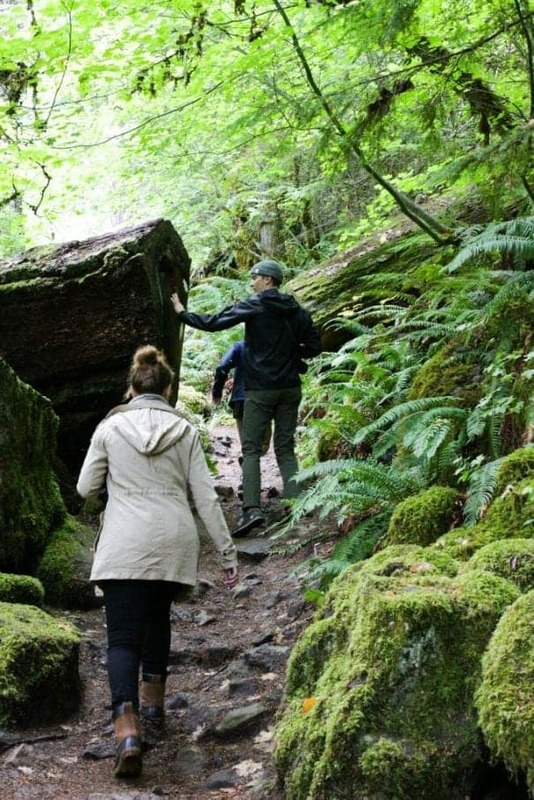 There are many ways to visit the park, from short half-day hikes to epic multi-day treks. The closest mayor town to the park is Huaraz, which is also the best base if you are thinking of visiting the park. For me personally, this area in Peru holds a special place in my heart. After all, this is where I met my partner and where we did our very first trek together. We’ve vowed to go back for our 10-year anniversary and do the Santa Cruz trek again, but this time with our child. I can’t wait! 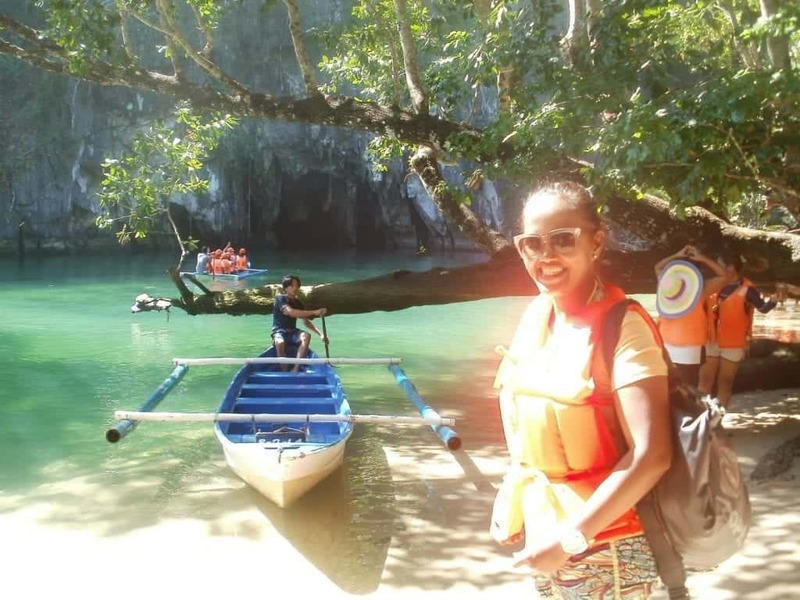 The Puerto Princesa Subterranean River National Park is located in Palawan, Philippines. It is also a UNESCO heritage and one of the New 7 Wonders of Nature in the world in the year 2012. It’s a national park which is also popularly known as Underground River, lush with a green environment that has been protected. It is one of my favorite national parks in the world as the color of the water upon arriving in the area is totally crystal clear, with a great amount of number for its unique and different rock formation when entering the river totally surprises my visit. The tour can only take about 45 minutes inside the cave, taking an open boat with the helmets on navigating to 4km distance brackish water. The limestone karst outside simply defines another panoramic view, from that mountain landscape one can surely identify the beauty within this national park. Apart from the cave, there are monkeys lurking around and on the time I visited, we found one monitor lizard too. One of the things I do like from this place is the limit of visitors in a day, making sure that the place will not be destructed. Tatra National Park is one of the most beautiful regions in Poland. Located in the southern part of the country, Tatras are the highest and most astonishing mountains in this part of Europe. These mountains are divided into a few ranges, each of them different, which makes them even more interesting. Tatra National Park is famous for its amazing landscape – solemn granite peaks of High Tatras surround deep glacial lakes which never get warm. Oval mounts of Western Tatras welcome hikers with their long and picturesque trails. Rumbling waterfalls double their volume after rain. Tatra National Park is a true paradise for nature lovers, photographers, hikers, trail runners and climbers. There are lots of trails suitable both for experienced hikers and families with children. There are via ferrata-like trails in High Tatras for thrill seekers, long but nice and safe routes in Western Tatras, and picturesque valleys perfect for beginners and hikers who just want to warm up. 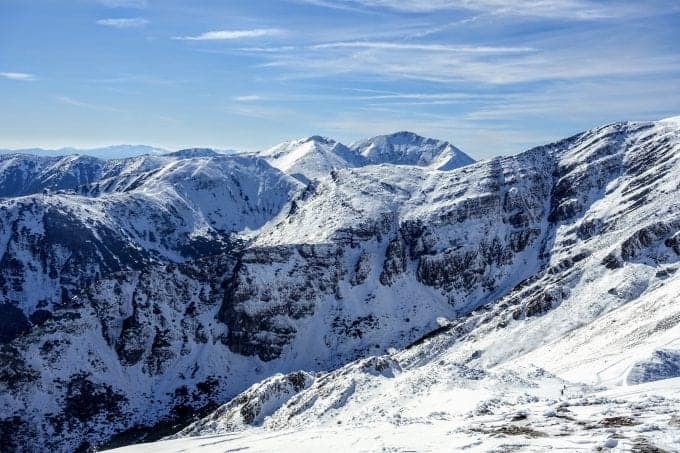 The most famous places in Tatra mountains are: Five Lakes Valley (1,665m), Kasprowy Wierch peak (1,987m), Giewont peak (1,895m), Morskie Oko lake (1,406m), Chocholowska Valley (the longest valley in Poland!). One of two National Parks in Scotland, Loch Lomond and the Trossachs, should be on everyone’s Scotland Bucket List. Surrounded by rugged, wild mountain scenery but close enough to the big cities of Edinburgh and Glasgow allowing you to visit for a day trip. Take in the awe-inspiring views of the Loch from the summit of Conic Hill, stopping off for a tea and scone in the village of Balmaha just below. Enjoy the picturesque charm of the historic village of Luss, make sure you arrive early and beat the coach tours! Book a nights stay in the Rowardennan Youth Hostel. The grand old building sits on a wonderfully tranquil spot on the edge of the Loch. 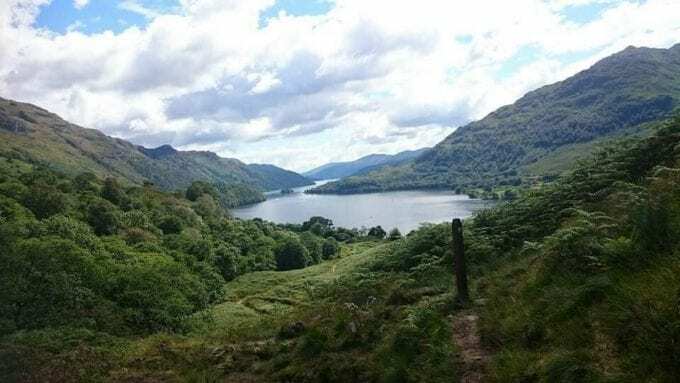 If you want to make the most of it why not walk the West Highland Way, this 96-mile multi-day trek takes you along the banks of Loch Lomond before heading into the rugged landscape of the Scottish Highlands. If you’re looking to completely immerse yourself in nature, there’s no better place to do so than the Kruger National Park in South Africa. Covering more than 2 million hectares of land, it’s one of the biggest and best wildlife reserves in the world! And no surprise that it forms part of the world’s third largest Biosphere – the Kruger to Canyons Biosphere. 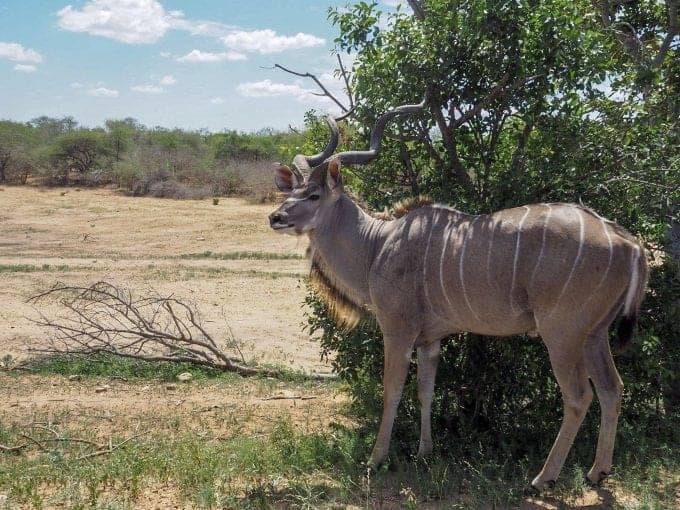 And if that isn’t enough reason to add the Kruger to your National Park bucket list, here are a few more reasons why it’s the perfect place to experience the African bush at its very best. Spend your days driving from one rest camp to another, admiring the serene landscape stretching as far as the eye can see and spotting the Big Five (lion, rhino, elephant, leopard and the Cape buffalo). When the sun starts to set, enjoy a thrilling game drive before finally settling down next to the campfire to enjoy a “braai” (a South African barbecue), stargazing and listening to the roar of the lions. Whether you’re visiting on a day trip from one of the neighboring towns in the Lowveld, camping or staying in one of the many luxury safari lodges, there’s no doubt you’ll be spoilt for choice in the Kruger! 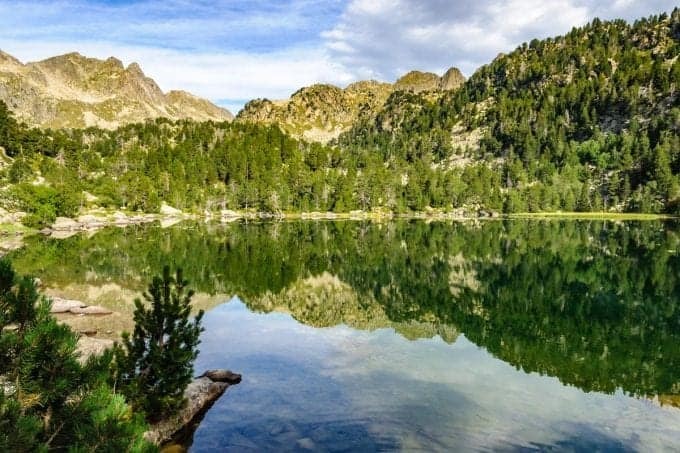 There are many awesome natural parks in Spain, but it’s hard to surpass the beauty of the Aigüestortes i Estany de Sant Maurici National Park. Situated in Catalonia, the Northeastern part of the country, this is probably the most picturesque area of the 400 km-long Pyrenees mountain chains that separates Spain from France. In this national park you can find some of the best walks in the Pyrenees. I especially love this area because of the incredible variety of alpine lakes of all sorts of colors you can find there. The landscape is very diverse and changes quickly from lush forests to rocky mountain passes. The most easily accessible part of the park is the Estany de Sant Maurici, the largest lake in the park. The best way to get the most out of Aigüestortes is walking part of the Carros de Foc, a circular mountain trail that goes through the most beautiful parts of the national park. The whole walk takes several (5 to 7) days, during which you can sleep in fully equipped mountain refuges. There is no better way to see wildlife than in its national habitat, and National Parks are a great way to spot wild animals. My favourite park for wildlife is Udawalawe National Park in Sri Lanka. Sri Lanka has the highest density of wild Asian elephants in the world. The country has done an amazing job of protecting its wildlife while still making it accessible to tourists. Udawalawe National Park Safari is a great example of this. 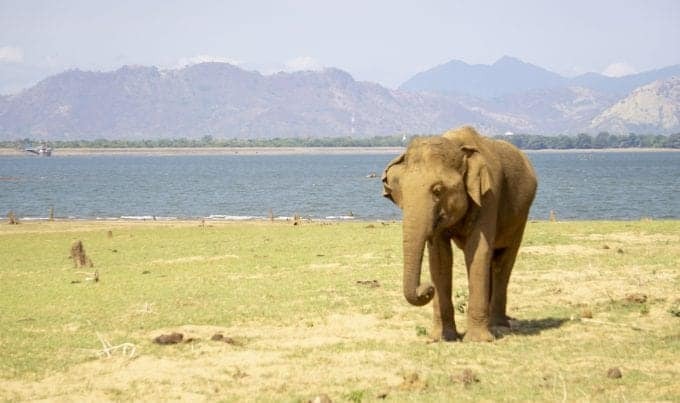 During a safari at Udawalawe National Park, you will have the chance to spot elephants, water buffalo, crocodiles, lizards, monkeys, exotic birds, and If you’re really lucky, you may even spot a leopard. On top of all the incredible wildlife, the landscape of the park is beautiful. It was completely different then anywhere else I visited in Sri Lanka, and actually felt like we were in Africa. The mountain ranges of nearby Ella provide a stunning backdrop to the park. If you are planning a visit Sri Lanka, don’t miss the chance to go on an Elephant Safari in Udawalawe National Park. Without a doubt, my favorite national park in the world has to be Serengeti National Park. 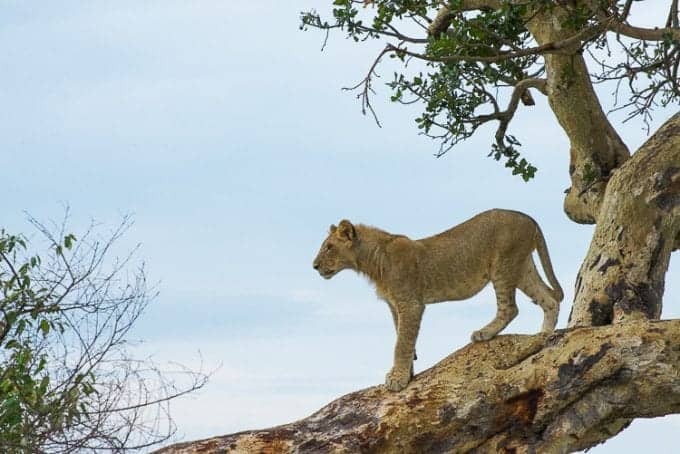 Serengeti NP is in the northern part of Tanzania, approximately 350Km (217 miles) Tanzania northwest of the city of Arusha. The northernmost border of the park is the Tanzanian-Kenyan border and is continuous with the Maasai Mara National Reserve in Kenya. Serengeti represents everything I think of when Africa comes to mind. It has wide open plains filled with rolling hills and acacia trees and a wide range of wildlife. We were able to see all of Africa’s “big nine” game animals (the lion, the leopard, the cheetah, the cape buffalo, the elephant, the black rhinoceros, the hippo, the zebra and the giraffe) on our trip. The air was fresh and clean, and the night sky was filled with more stars than I’d ever seen from any other location on earth. Getting to Serengeti wasn’t an easy or inexpensive trip…but it’s one that I would repeat in a heartbeat, given the chance. Khao Sok National Park in southern Thailand will forever remain one of the most favourite places we have ever visited. The park can be divided into two main parts – the jungle and the Cheow Lan lake area. The former is one of the oldest rainforests in the world and is perfect for hiking and nature observations. However, what stole our hearts was the latter – a magical emerald lake with gorgeous limestone karsts, surrounded by untouched tropical rainforest and its wildlife. When we arrived at Cheow Lan lake floating bungalows a rainbow stretched across the sky as if to welcome us in this fairytale. We spent two unforgettable days in the middle of the lake engaging in many adventurous activities. We climbed waterfall cascades, chest-deep in the water we made our way through the jungle towards caves, we watched the sunset while swimming and saw the sun rise behind the rocky karsts from the comfort of our kayaks. One of the best unexpected bonuses was the absolute lack of signal. Pure bliss. My favorite National Park would have to be Acadia National Park in Maine. It is the only national park in the Northeast and one with so much natural beauty. Our family spent a very short two days exploring the park on a Northeast road trip last summer and I was left wanting to see more. There are so many family-friendly hikes in Acadia with scenic viewpoints. My favorite experience here was rock scrambling with my kids on the Ocean Path Trail and climbing up to view Bubble Rock. We also hiked to Bar Island during low tide just outside of downtown Bar Harbor. We visited Maine when there was thick fog in the area. As beautiful as Acadia National Park was with the fog, we did not hike certain trails due to low visibility. I was saddened not to be able to see the coastal views, the granite cliffs, and the alpine lakes so clearly due to the fog. It really shows what a lasting impression Acadia had on me. 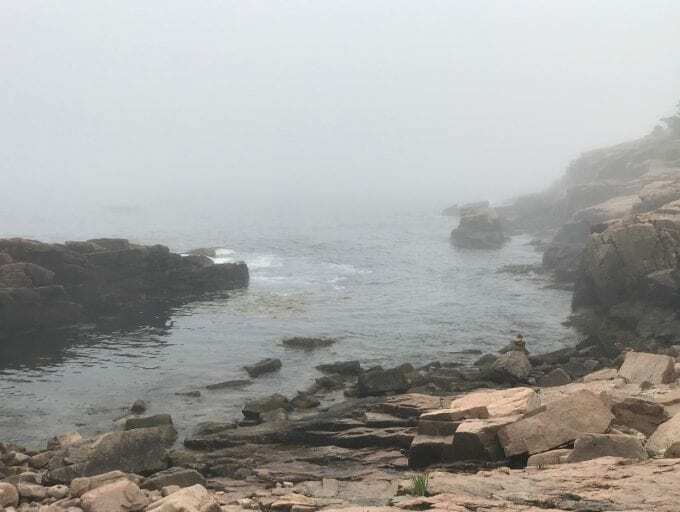 Despite the fog, I fell in love with Acadia National Park and cannot wait to explore some more. Moab, UT is uniquely situated between Arches and Canyonlands National Parks. This central location provides the opportunity to experience two of the most stunning parks in the American Southwest. Arches and Canyonlands offer miles of trails, thousands of natural arches, and endless colorful red rock formations. Canyonlands National Park can be entered about 40mins from Moab. This entrance will lead you to an area of the park called “Island in the Sky.” After a short hike, in the morning darkness, you will find yourself under the Mesa Arch, watching one of the most photographed sunrises in the US. However, what makes this park unique from other national parks is the remoteness and zero light pollution of “The Natural Bridges Monument.” This portion of the park was named the world’s first “Dark Sky Park.” The visitor center here is open year-round and offers many exhibits, making this the perfect place to experience astronomy. Badlands National Park might be one of our favorite national parks in the US if not the world! There are plenty of opportunities to wildlife spot – particularly seeing Bison and the Prairie Dogs at Roberts Town just off the loop road! Back on the loop road are many easy to walk trailheads as well as many viewpoints on the roadside which makes seeing the best this park has to offer really easy! But one of the best things about the Badlands National Park is that by comparison to many of the other parks both in the us and internationally is that it is exceptionally quiet which means that you really feel like you are in touch with nature! It is also close to other hidden gems such as Custer state park and well-known attraction Mount Rushmore! 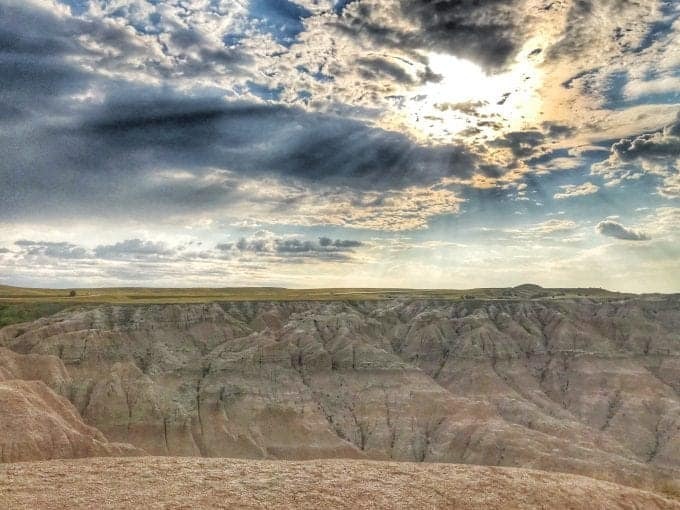 The park is really easy to access both from Sioux Falls and Rapid City (50 minutes away) and the nearby town of wall drug which is advertised on the roadside from both cities is also worth stopping at during your badlands visit! The combination of quietness, wildlife, geological beauty and proximity to other great sites makes badlands my favourite national park in the world! My favorite national park is actually on the list of the least visited national parks in the United States. But this tiny park in West Texas has so much to offer. Big Bend National Park is isolated in the desert, an 8- hour drive from Austin. But every second in the car is worth it once you arrive. This is the only national park that houses an entire mountain range within its borders. 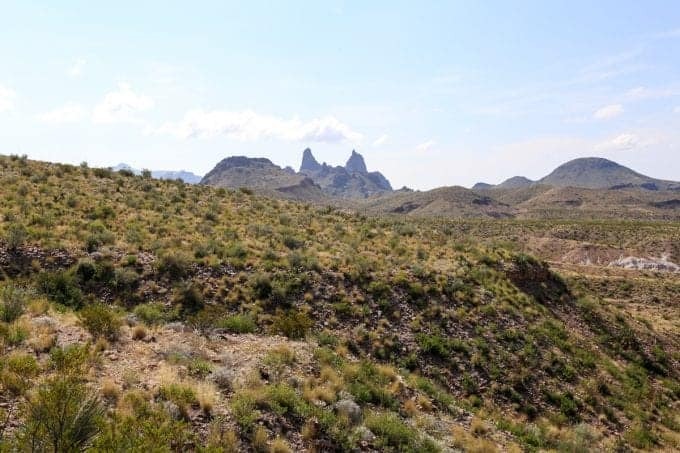 The Chisos Mountains rise up from the desert floor and are home to some of the best Big Bend hikes. The 150 miles of trails in the mountains, through the desert or along the Rio Grande are my favorite way to spend a weekend in Big Bend. If you love to camp, reserve a campsite ahead of time to sleep on the trail under the stars. And what a night sky it is, with no urbanized area for miles the stars come out in full force. Sleeping under the Milky Way on the trail overlooking Mexico is an experience you’ll never forget. If you ever find yourself in Texas, don’t hesitate to get in the car and drive west. Summer or winter, the surreal landscape of Bryce Canyon National Park, located in southern Utah, makes it our favorite national park in the United States. The most recognizable feature of Bryce Canyon is its ultra-photogenic, deep orange hoodoos. With an other-worldly appearance, hoodoos are irregularly formed spires of rock caused by millennia of freeze-thaw cycles and erosion. Hoodooos are found on every continent in the world, but in highest concentration in this area of southern Utah. In hotter months, the hoodoos look ablaze under the summer sun; it is a great season for photography. Crowds of park visitors also experience phenomenal hikes, guided horseback rides, and ranger-lead stargazing programs in this season. 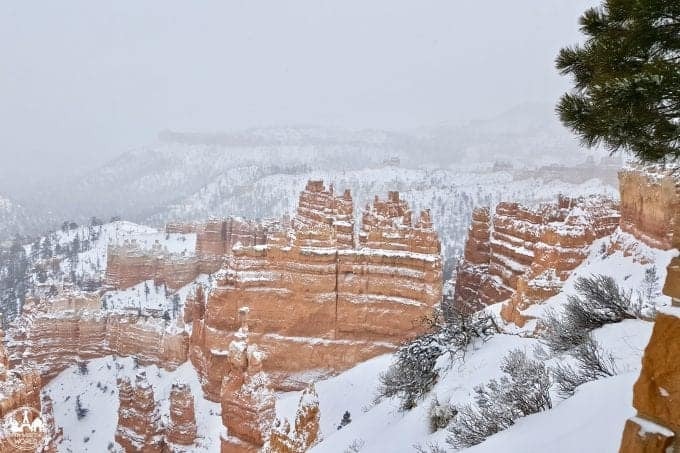 In colder months, thanks to the park’s elevation of 8,000+ feet (2500m+), Bryce Canyon typically sees about 80 inches (2m) of snow in a season (but can occasionally see 80+ inches in just one month!). The crowds thin out, so that those who do visit can enjoy peaceful winter hiking, snowshoeing, and cross-country skiing. And the contrast between the untouched white snow, the deep orange hoodoos, and the green of the towering Douglas firs make for even more extraordinary photography than in summer! But truly, any time of year is the right time to visit Bryce Canyon! Grand Canyon National Park is one of the most incredible places on the planet. There are several ways to experience the canyon. There are multiple viewpoints from the north rim and the south rim, which is the main access point and the side that most people visit. 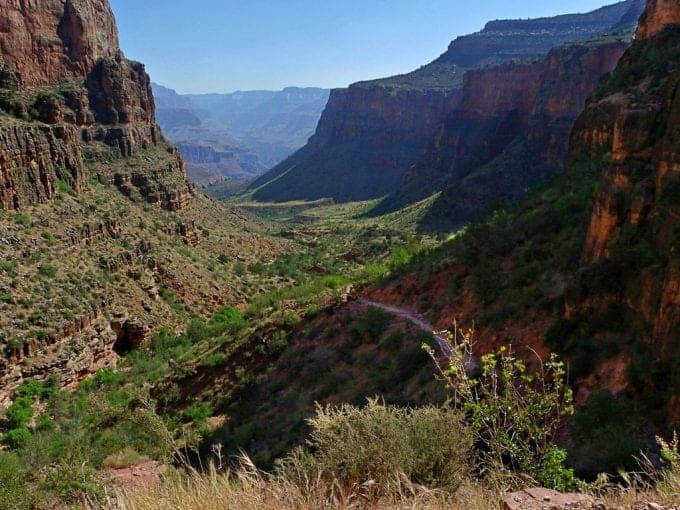 You can hike the Bright Angel Trail from the South Rim down into the canyon to Phantom Ranch at the bottom, where there are cabins and dorms to stay in. If you don’t want to hike, a mule ride is an alternative. Mule rides are also available around the top of the rim. You can also take a river rafting trip through the canyon. Seeing the canyon walls rise higher around you as you proceed through the canyon, and riding the whitewater rapids, is an awesome way to experience the canyon. Grand Canyon is in Arizona in the southwest of the United States. The nearest main airport is Flagstaff, but Las Vegas, which has a larger airport, is also not far away. In fact, many people go to the canyon as a day trip from Las Vegas. However, spending longer gives you more time to fully appreciate the grandeur and enormity of the canyon. If you are looking for a unique National Park to visit in the USA, plan a trip to Joshua Tree National Park in Southern California! Doable as a day trip from Palm Springs or Los Angeles, Joshua Tree is also a great place to spend a few days, camping within the park. Joshua Tree NP is a desert park that is located on not one but two deserts: the Colorado Desert and the Mojave Desert. 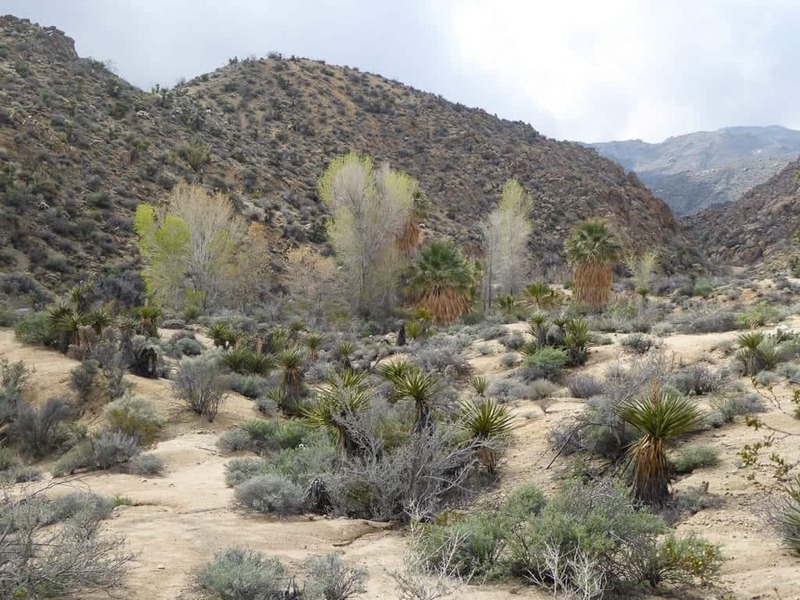 Within the park, you’ll see two completely different ecosystems based on which desert you’re in, which is very cool. And Joshua Tree’s diverse range of things to do makes it a fun destination for different types of outdoor lovers, from hikers to climbers to photographers. The huge boulder formations in the park make for fabulous landscapes, as do the Joshua trees that give the park its name. Even if you visit Joshua Tree NP for just one day, you can do the scenic drive through the park, a couple of short hikes, some rock scrambling, and sunset watching or star gazing. So if you love the outdoors and plan to visit Southern California, make sure to place a visit to Joshua Tree NP on your itinerary! About 200 yards short of the path up the Cinder Cone at Lassen Volcanic National Park in California, all vegetation stops, and you feel like you’ve suddenly stepped onto a very black, windy, and dusty planet that is very different from the one you came from. And, the path up the cone that’s now just in front of you is a lot steeper than it looked in the pictures in the book. The path up the hill is made of pumice stones that vary in size from golf ball to pea. And, since they are light pumice stone, they’re very easy to displace. In other words, for every step up the hill you take, the stones roll back about half the distance of your pace–taking you back down the hill with them. But, the struggle is worth it, because when you get to the top, you’ll get a view unsurpassed in its stark beauty. And, because of the difficulty of the climb, there won’t be very many people up there with you. And that’s a rarity in the United States National Parks. 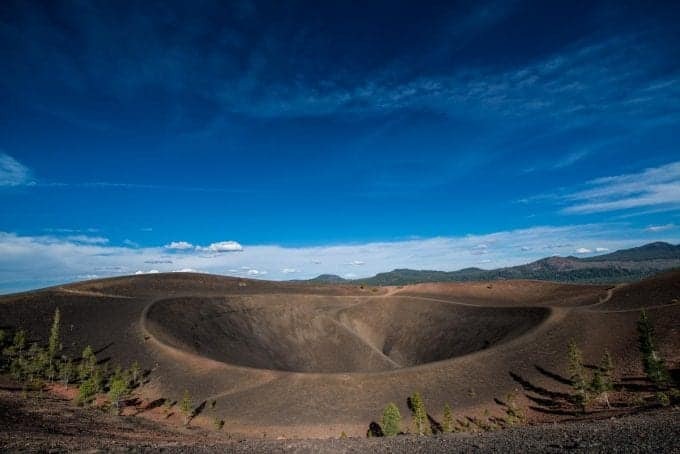 The Cinder Cone is the highlight of Lassen Volcanic, but don’t miss the Bumpass Hell trail through the active volcanic landscape on the other side of the park. The name alone is worth the hike. Stay on the path. It’s dangerous there. 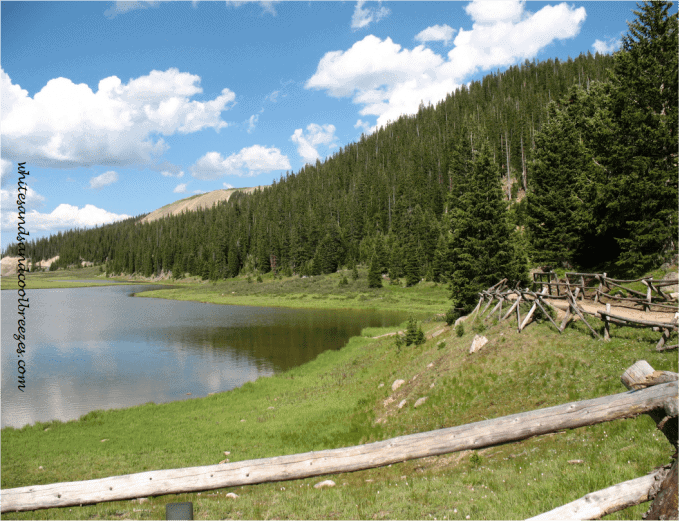 My favorite National Park – Rocky Mountain National Park in Colorado!!!! Why? It’s pretty simple really. It’s beautiful! Just remember, because you’re at high altitude it’s easier to get dehydrated so make sure you have plenty of water on you, even if you’re just driving through! Oh, and it’s cold up there even in the summer so dress accordingly. 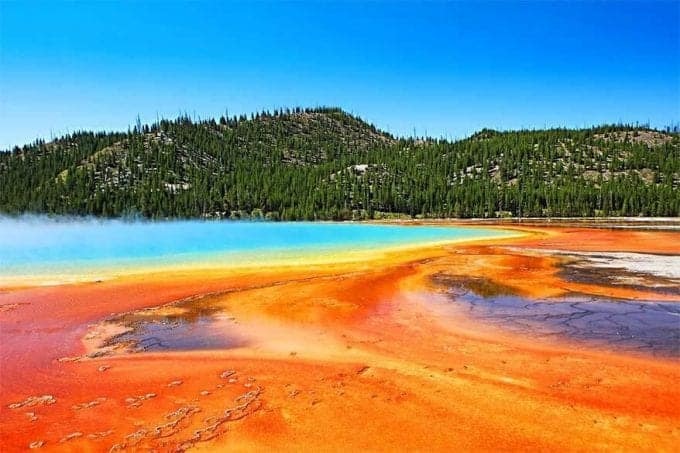 One of the oldest National Parks in the world, Yellowstone in Wyoming, USA, is probably the most unique National Park on the planet. Located on a huge volcano, Yellowstone is bustling with geothermal activity. Not surprisingly some of the park’s best-known features are its geysers, with the Old Faithful as an absolute crowd-favorite. Yellowstone is also well known for its colorful hot springs such as the Grand Prismatic or the Morning Glory Pool, to name just a few. But there is so much more to Yellowstone than that! Did you know that Yellowstone has its own canyon, a huge lake, and several places where river water is warmer than a jacuzzi? It’s such a diverse place, full of incredible landmarks, but also many hidden gems still waiting to be discovered. If you are thinking of visiting, check these Yellowstone itinerary suggestions for inspiration. So, which one of these worldwide National Parks will you be hitting up first? We have our eyes on so many, which means our bucket list just grew by leaps and bounds! If you enjoyed this article as much as we enjoyed putting it together, please feel free to share it on Facebook, Twitter and/or Pinterest. Your blog is really exciting and informative! I am a big admirer of Nature and I love beautiful landscapes. I think you can consider National Park Tara in Serbia as one of the best parks in the world. Well, my travel bucket list just got a whole lot longer! It is so amazing to see all the beautiful places in the world that I never even knew existed. This makes me want to travel so bad. Great photos! Wow, these parks look amazing! I love the range and diversity of environments featured. I have been to Big Bend (many times as a kid) and Joshua Tree and they’re both beautiful. My parents have been to Denali several times and I hope to go someday soon. It’s not as expansive as the ones on your list, but I absolutely love Griffith Park in Los Angeles and it’s within walking distance for me! These are all so beautiful! I would love to visit! Such amazing places. Last June, I went to Acadia National Park ( & had a wonderful time) but it has been my first & only national park that I’ve been to! I would definitely love to add some more to my list of places to go! Great job! This turned out to be an amazing compilation of national parks. Wow, and just like that our bucket list expanded dramatically 😀 (not complaining!) Thank you for having us contribute – been a pleasure working with you guys! Oh wow Kate, I’m a nature lover and an outdoor enthusiast. I really need to win a lotto to visit them all in my lifetime 🙂 Kudos for writing such amazing article! Such an inspiring post! Your pictures of the parks are beautiful and enticing. Travels with nature bring about a whole new meaning of vacation for me. Thanks for sharing! Bookmarking this post!!! Such an amazing round-up of all the new places I’m adding to my bucket list (+ a few that were already there). 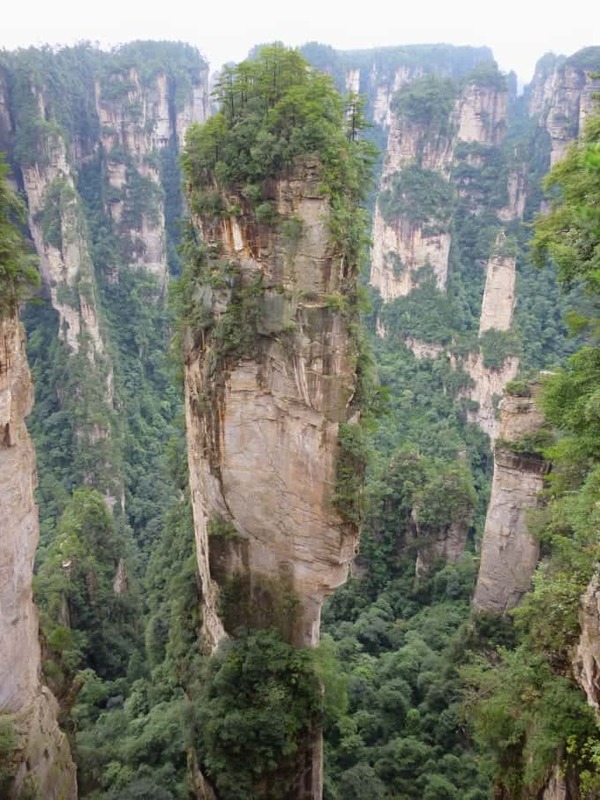 Zhangjiajie National Forest Park looks unreal! Amazing list! I recognized most but there are least 10 gems that I was not aware of. Thank you! This is quite a collection. Appreciate the time it must have taken you to gather this info. Bookmarked.